Delfield 403 27" Single Door Worktop Freezer with Backsplash - 5.7 cu. 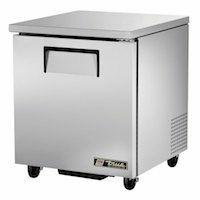 ft.
Delfield 407-CA 27" Undercounter Freezer with Casters - 5.7 Cu. 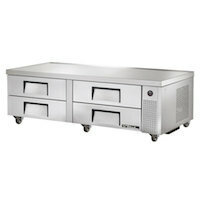 Ft.
Commercial undercounter and worktop refrigeration are space-saving, high-quality pieces of equipment. Both refrigerator and freezer models are available. 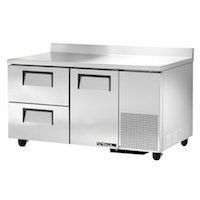 Worktop freezers and refrigerators are functional, providing you with a food grade prep surface where you can prepare ingredients and assemble meal items, with refrigerated storage underneath. 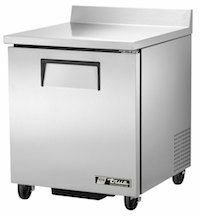 Undercounter refrigerators and freezers are designed to fit under standard commercial counters, providing extra refrigerated storage space that can be installed nearly anywhere. Most models come with front breathing vents so they can be squeezed between other pieces of foodservice equipment. 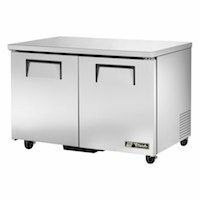 Commercial undercounter and worktop refrigeration are intended to offer you both refrigerated storage and a space-saving feature. Both refrigerator and freezer models are available for both worktop and undercounter style units. Worktop freezers and refrigerators allow you to actually utilize the top of the unit and they typically utilize a backsplash. The top surfaces is typically a food grade prep surface where you can prepare ingredients and assemble meal items. Extra refrigerated storage allows quick access to ingredients underneath. Undercounter refrigerators and freezers are literally that, sliding under most standard commercial counters. 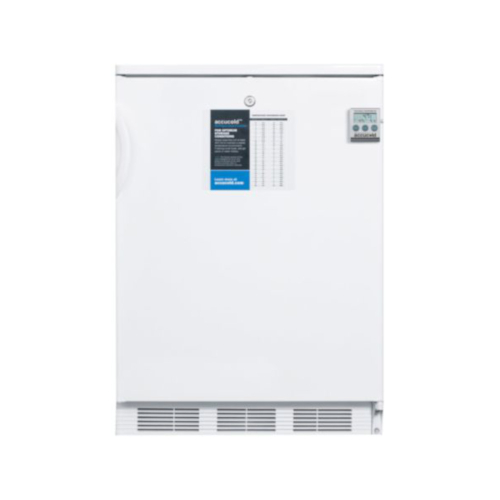 These units provide you with extra refrigerated storage space and their low profile allow you to install them almost anywhere.